Is it possible to keep the attention of a group of 5-year-olds for more than an hour? If you ask most kindergarten teachers, probably they’ll give you a burst of bitter laughter for an answer. The truth is that it is possible to have young learners focused for a longer period of time, especially if you combine a series of methods and you include technology among the other tools used in your approach to teaching kids. The ideal educational strategy is to include a variety of different teaching methods, designed to communicate with kids on different levels. Technology is just one of these instruments and it will never replace the live games, be they indoors or outdoors. Using digital tools can only supplement your educational approach and ease the learning process for the kids, as well as for the teachers. 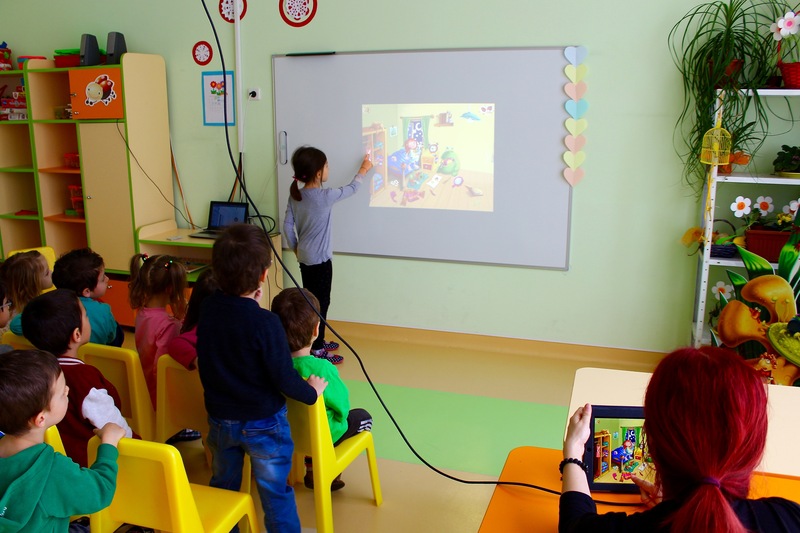 If you still have your doubts, check out the following three ways in which technology improves the educational process in kindergartens. As we mentioned in the beginning, keeping the attention of young learners is a pretty difficult task. But the mission becomes possible when you compile a list of various methods of communication for one and the same purpose. For example, if kids are now learning the alphabet, they can sing a song for each letter, then watch a video about the alphabet and they can further practice what they’ve learned by playing an educational app on the tablet. Using the touchscreen allows kids to control what’s happening in the game and attracts their attention in a visceral way. It also reaffirms their newly developing skills to make decisions independently. According to a number of experts, including Jill Buban from Post University, Connecticut, students in kindergarten learn how to write the letters and numbers and how to read most successfully when teachers combine traditional with interactive digital educational techniques. Using computers and tablets has another major advantage in the learning process. Many of the apps offer automatic answers to the different tasks. Thus, the teacher can focus on actually helping the kids who find it hard to come up with an answer right away. Technology in the kindergarten makes if fun for both children and teachers. Educational apps can really stimulate a kid’s ability to make decisions on their own. But technology can also be a great way to encourage teamwork in the kindergarten classroom. If you gather a group of young learners in front of the computer and delegate the task of, let’s say, finding the matching numbers or letters, this activity will teach them how to cooperate. 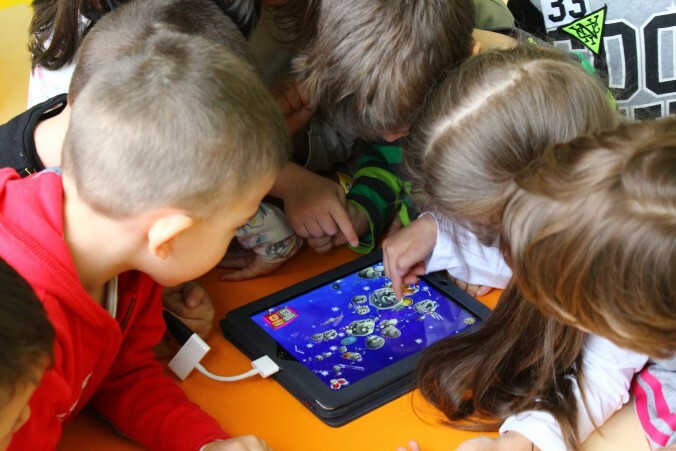 Same with apps on the tablet – playing together will teach kids to appreciate the shared fun. Last but not least, teachers just like parents at home, should actively participate in the kids’ games on the computer or the tablet. This will strengthen the bond between them and in the future kids will know they can ask the adults for opinion and support in other technology related activities. If you’re a parent of a small kid or a teacher in a kindergarten and you still get scared by the idea of using technology in the classroom, keep reminding yourself: it’s you who sets the rules for the kid! Technology is simply a precious tool which you can add to the rest of your list of educational methods and approaches in raising a child. Instead of banning technology and forcing your kids to treat it as some forbidden yet tempting activity, it’s better to include the digital world into your kid’s everyday life in a healthy and smart way from the very beginning. Open up yourself for the world of educational apps. You can start by downloading “Who Lit the Moon?” from Apple Store and Google Play. Who, where, what, how? – How to answer your kids’ questions! Децата и технологиите: съвместна рубрика с Parentland. Защо е важно да стимулирате въображението на децата?